The CEM DCM 300 Input/Output (I/O) Module range provides a flexible way to monitor and control a wide array of external equipment, for example lights, windows or machinery. 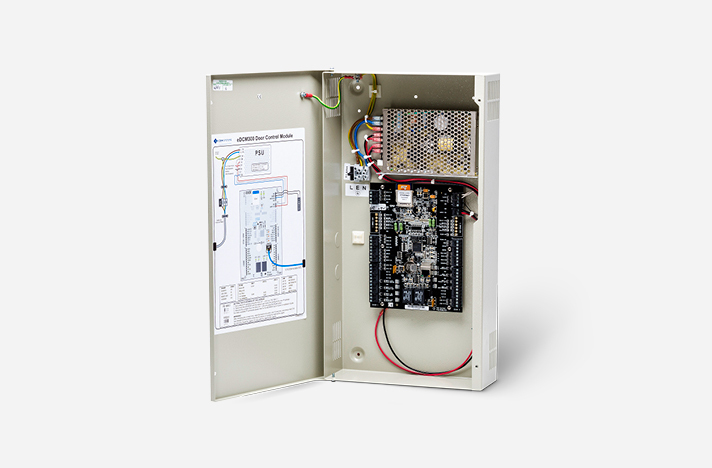 The DCM 300 I/O features eight analog inputs and four outputs that are used to give spare inputs/outputs on the AC2000 access control system. Each input can be cross mapped to an output. A change of state to an input will cause a specific output. This means, for example an input can be taken from a motion detector and be used to trigger an intruder alarm siren. The DCM 300 I/O Module is available in two options: eDCM 300 I/O Module for Ethernet connection or the sDCM 300 I/O Module for Serial connection.